Shipwrecks and other disasters at sea were frequently painted during the Romance period. It is expected to be the biggest salvage operation ever attempted. As of September 2013 the salvage has cost over $800 million. The Panama flagged bulk carrier Double Fortune was built in 2010. Gross tonnage and deadweight are 50617 t and 95790 t respectively. Containerisation and multimodal transport: the development of door-to-door transport. Fire on board ship is one of the most dangerous risks for vessels and cargos. Electrical equipments, flammable liquid on board, engines and boilers often cause it. 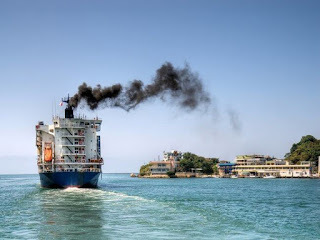 In the European Shipowners’ seminar on CO2 reductions in the shipping industry one message was clear: in order to achieve CO2 reductions across the world merchant fleet, a combination of different measures is needed. “In our seminar this week, we discussed with our stakeholders and European decision-makers different measures that enable to minimise the environmental impact of the shipping sector. In one analysis, the measures were divided in categories including the Technical and operational measures, Alternative fuels and Logistics related to the speed management of a vessel”, explained Tor Christian Sletner, the Chairman of ECSA’s Air Emissions Working Group and Director, Head of Environment of the Norwegian Shipowners’ Association. Following the International Maritime Organisation’s (IMO) latest meeting of the Marine Environment Protection Committee (MEPC71) and in view of the second meeting of the intersessional working group on reduction of GHG from ships in October 2017, European Shipowners this week organised the seminar on CO2 reduction in the shipping industry. In the event, shipowners presented their initiatives followed by a debate with stakeholders, including the Commission, maritime attachees, European Parliament’s representatives and NGOs such as Transport and Environment. “We certainly aim to promote ambitious short, mid and long term global measures in line with IMO MEPC71 roadmap for the CO2 reductions from international shipping, and the Paris COP21 Agreement on climate change. We feel that the shipping industry is fully engaged in advancing the emission reduction agenda. We call for the EU Member States to proactively engage IMO’s global members that IMO continues to seriously address CO2 reduction for ships and adopts an IMO CO2 strategy as soon as possible, as a global solution is what our industry indeed needs”, concluded Sletner. 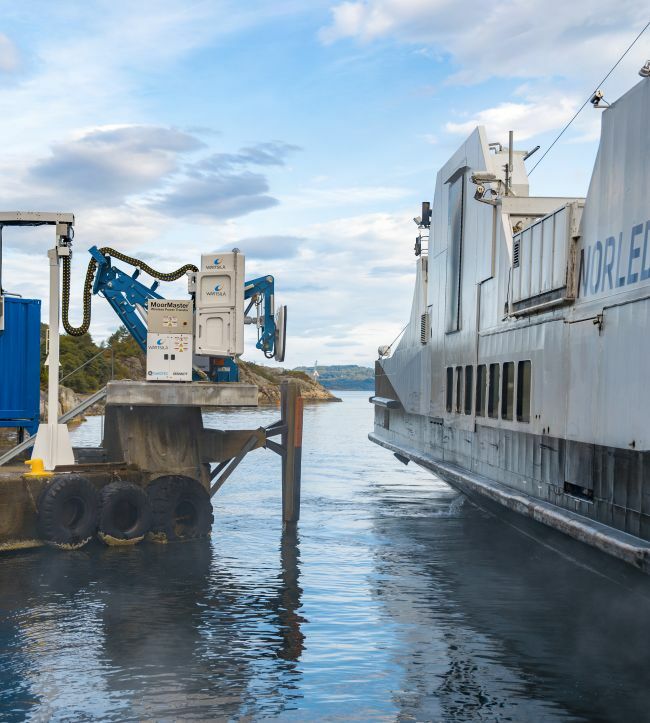 The technology group Wärtsilä has successfully tested its automatic wireless induction charging system on a hybrid powered coastal ferry. This is the first commercial ferry in the world operating with high power wireless charging capability for its batteries, and the successful project represents a notable breakthrough in the evolution of plug-in electrically operated vessels. The tests were carried out on the 85 metre long ‘MF Folgefonn’ in Norwegian waters during the end of August / early September of this year. The ferry is owned by Norled, one of Norway’s largest ferry operators. 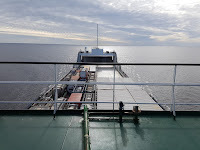 Wireless charging eliminates the cable connection between the vessel and shore, thereby securing and facilitating safe connections and disconnections. It also reduces maintenance since wear and tear to physical connection lines is eliminated. The integrated Wärtsilä system is based on inductive power transfer and is capable of transferring more than a MW of electrical energy. The Wärtsilä system is designed to maintain efficient power transfer at distances of 50 centimetres between the two charging plates built into the side of the vessel and the quay. No other wireless charging system is as powerful, or capable of maintaining the transfer of energy at such a distance. “During recent years, wireless charging has been introduced for cars, busses and trains. We have now made this possible for marine vessels. The main benefits for customers are up to 20 percent more utilisation of the available charging time, increased operational safety, and greater system reliability. 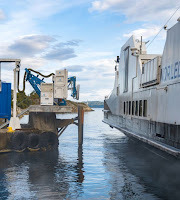 There is an ongoing trend to equip coastal ferries with battery powered and hybrid propulsion since they are particularly affected by environmental regulatory demands. Wireless charging will, therefore, create considerable value for operators of hybrid ferries,” says Ingve Sørfonn, Senior Technical Officer E&A, Wärtsilä Marine Solutions. “For Wärtsilä, this wireless charging revolution focuses on coastal ferries, a segment of the transportation industry that is well-suited to the technology because of short stop-and-go schedules. The wireless charger is an innovative and value adding new part of our hybrid solutions offering, which we shall continue to develop further in line with the needs of our customers,” says Cato Esperø, Sales Director, Wärtsilä Norway. The project has been partly funded by Innovation Norway, a Norwegian funding institution. ESC together with the other associations, such as CLECAT and IRU, has asked the European Commission’s Directorate-General for Taxation and Customs Union to reduce the administrative and financial burden related to the guarantees against customs debts. According to the Union Customs Code, an economic operator (a shipper) should provide a guarantee if there is a risk of a customs debt for the goods that this operator is transporting or processing; or if the shipper does not have a secured warehouse. A “customs debt” means the obligation of a person to pay the amount of import or export duty which applies to specific goods under the customs legislation in force. Thus, if the goods get stolen from a warehouse or during transportation, and a debt occurs, customs authorities can recover the debt from the guarantee. This can be done even if the company is not solvent anymore. This rule also applies to the companies that have a status of the Authorised Economic Operator (AEO). In this case, customs authorities have already a good view on the risks insolvency and compliance of these company. By asking for an additional guarantee from the reliable companies, customs are getting a double safety net which is a comfortable situation for customs but is a difficult situation for the operator (shipper). For this reason, ESC has co-signed a letter with other Associations such as CLECAT and IRU, to reduce the number of cases and the amount of the guarantee. Hopefully DG TAXUD will respond positively to this request. In this case, the Owners had exercised a contractual lien over their Charterers’ cargo on board the vessel due to failure to pay hire. The hire dispute was being resolved in arbitration proceedings but, during this time, the Owners’ vessel was effectively being used as a floating warehouse as the cargo could not be discharged into storage. The decision provides an illustration of when an owner can obtain an order for sale of cargo on board before the conclusion of arbitration proceedings, thereby releasing the vessel for other employment. The vessel was time-chartered to PDVSA, the Venezuelan state owned oil and gas company. The Owners stated that there had been repeated failures to pay hire since January 2016. On 14 October 2016, a cargo of crude oil, owned by the Charterers, was loaded in Venezuela and the vessel was ordered to proceed to the Bahamas for discharge. On 18 October, while the vessel was off the discharge port, the Owners exercised a contractual lien over the cargo due to the Charterers’ failure to pay hire. The Charterers subsequently ordered the vessel to Curacao, where she had remained ever since with the cargo on board. The Owners commenced arbitration against the Charterers for the unpaid hire and now brought an application to the English Court for an interim remedy, requesting an order for the sale of the cargo on-board the vessel, with the proceeds to be held as security pending the outcome of the arbitration. Under s. 44(2) of the Arbitration Act 1996, a party to an arbitration can apply to the English Court for sale of goods if those goods are “the subject of the proceedings” (meaning the arbitration proceedings). This gave rise to the question whether the cargo in this case was “the subject of the proceedings”. The Charterers argued that the cargo was not the “subject”– the alleged unpaid hire was the subject of the proceedings – and so this requirement was not satisfied. The Court rejected this argument. It stated that, because of the lien, neither party could deal with the cargo until the arbitration dispute was resolved. Accordingly, even if the arbitration was not “about” the cargo, the arbitration would certainly determine what would happen to the cargo. The Court did not comment on what the position would be if the cargo had been owned by a third party that was not a party to the arbitration. The Court also needed to satisfy the requirements of Civil Procedure Rule 25.1, which states that an order for sale of goods could only be made where the goods are of a perishable nature (not applicable here) or which, for any other good reason, it is desirable to sell quickly. The Owners argued that there was good reason to order sale of the cargo in this case. Although there had been efforts to arrange discharge of the cargo into storage, for various reasons this had not proved possible. The cargo had been on board the vessel for over nine months at this point and, even if the Owners were successful in the arbitration, it would likely remain on board for many more months. During this time, the Owners incurred the usual operating expenses but were not receiving hire. Additionally, the vessel needed to be cargo-free for drydocking in January 2018 as SOLAS and Class inspections were due. The Court agreed with the Owners that there was good reason for an order for sale. It also noted that the day before the hearing, the Charterers had made an open offer to sell the cargo themselves and pay the sale proceeds into escrow. This made it clear that any order for sale would not be interfering with the Charterers’ proprietary rights in the cargo, as it was going to be sold anyway. The Court concluded that the sale of the cargo should be ordered as the jurisdictional and discretionary factors were satisfied. Where owners have exercised a lien over the cargo on board their vessel, the parties are often faced with an impasse. The Charterers cannot deal with the cargo because it is held under lien, but the Owners cannot deal with the cargo either, as often the Owners’ right to the lien must be established in arbitration – which might take many months. If no suitable storage can be found, then the Owners are faced with the unpleasant prospect of storing the cargo on the vessel, thereby removing her from employment. This Court decision will provide the Owners with some degree of comfort that, in such a situation, it is possible to apply to the English Court for an order for sale of the cargo as an interim remedy, pending resolution of the dispute in arbitration. A prototype of the world’s first class approved ship’s propeller manufactured using 3D printing techniques has been produced by a cooperative consortium of companies that includes Damen Shipyards Group, Rotterdam Additive Manufacturing LAB (RAMLAB), Promarin, Autodesk and Bureau Veritas. The 1,350mm diameter propeller – named WAAMpeller – was fabricated from a Nickel Aluminium Bronze (NAB) alloy at RAMLAB in the Port of Rotterdam. 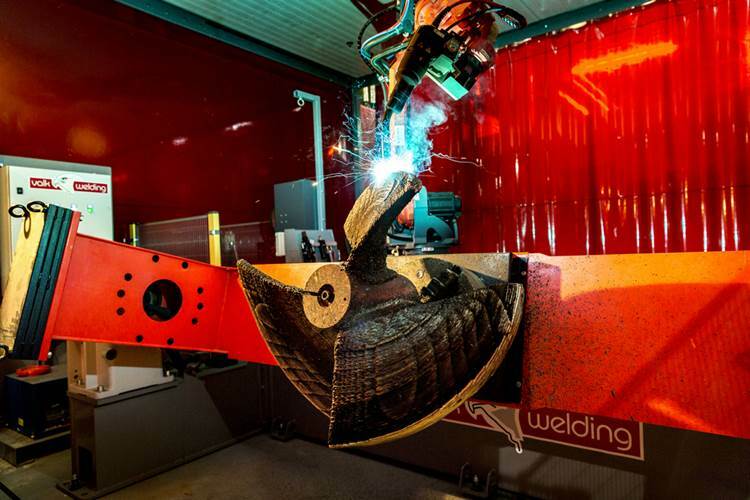 The propeller was produced with the Wire Arc Additive Manufacturing (WAAM) method using a Valk welding system and Autodesk software. The triple-blade structure uses a Promarin design that is used on Damen’s Stan Tug 1606. With production complete, the WAAMpeller will be CNC milled at Autodesk’s Advanced Manufacturing Facility in Birmingham, U.K.
Because of this critical difference, one of the first steps was to carry out extensive testing of the material properties of the printed material to ensure compliance to Bureau Veritas standards. “This involved printing two straightforward walls of material – then using a milling machine to produce samples for lab testing of tensile and static strength,” Custers said. “The challenge has been to translate a 3D CAD file on a computer into a physical product. This is made more complex because this propeller is a double-curved, geometric shape with some tricky overhanging sections,” Custers explained. If you’ve been working in the marine insurance industry lately, you will have heard about “blockchain” at some point; it is the electronic, distributed ledger, notoriously known for enabling the use of cryptocurrencies such as Bitcoin and Ether. But the blockchain technology’s utility goes beyond cryptocurrencies, potentially offering creative ways to solve other real-world problems. Within blockchain ledgers, the use of ‘smart’ contracts essentially converts contractual obligations into lines of computer protocols, which facilitate, verify, or enforce its performance. Much has already been written about how this technology could impact the financial services and transportation industries, including container shipping’s problems with non-delivered cargo. The emerging technology also has potential applications in marine insurance. As its applications beyond cryptocurrencies are just emerging from the develop-mental phase, relatively few companies have implemented blockchain technology on a large scale. That will not be the case for long. Marine insurance is generally accepted as being the oldest form of commercial insurance; this has enabled the sector’s customs, practices and policy terms to standardize and codify. This standardization of policy language and customs potentially allows marine insurance to reap the benefits from automation, particularly from the use of a blockchain ledger and smart contracts. In fields of insurance with well-established policy provisions, where underlying terms & conditions seldom change, a corporate risk manager typically purchases a standard policy from the insurer directly or through a broker. The risk manager can request specific policy provisions beyond the standard contract, either before inception or by endorsement later. These are standard practices. However, performing and recording these tasks on a blockchain, and having the policy represented in a smart contract, could simplify the purchasing process and increase transparency among the parties. 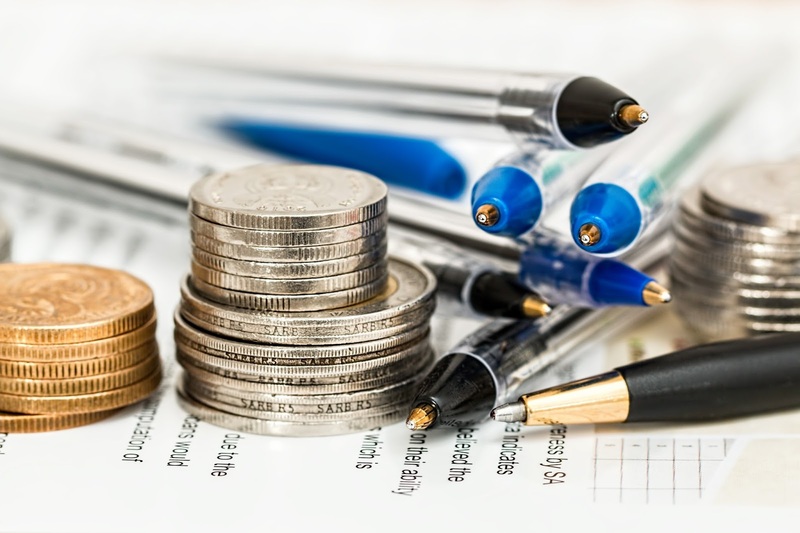 Conceivably, the purchasing process would no longer require a financial intermediary; it could be performed by the purchaser and all activities related to quoting and binding coverage visible to all stakeholders. The payment of the premium would be immediate and direct to the insurer, and the policy would be available upon confirmation of the exchange of funds. Using a binder to hold coverage in place while an insurer builds and delivers the policy could become obsolete. In this scenario, disputes would be more easily resolved, as there would be an immutable record of all transactions permanently recorded on the blockchain ledger. The public ledger can be made available to all participants, building transparency and trust among the parties. Anonymity could be maintained by assigning non-descriptive keys to each party, or by making the blockchain private to those involved. The process would significantly reduce any perceptions of wrongdoing -- as well as errors and omissions -- because all parties could verify each transaction, in permanent perpetuity. Other menial tasks typically performed by brokers and insurers also could be automated; since the policy specifications are already hosted on the database, a certificate of insurance summarizing coverage could be quickly produced through a simple query and made available to any party with permissions to view the policy on the ledger. Perhaps the most significant impact blockchain could have on insurance practices relates to claims adjusting and payment. In the complex field of marine insurance, goods travel around the world with insurance attached to them for the entire voyage, or only a small portion of it. While in transit, they are exposed to any number of perils, and title to those goods often transfers several times during the voyage. Tracking the source of loss or damage and following the chain of insurable interest entails the difficult process of chasing the associated paperwork around the globe. Hosting this information on a publicly shared blockchain ledger would empower adjusters to make informed decisions sooner, reducing the amount of time required to indemnify the client. Smart contracts could be designed to pay immediately upon notification and verification of a loss, especially in cases of a total loss of goods. Where there is a total loss that is easily verifiable, funds could be transferred based on pre-set criteria that trigger payment. For example, when a ship sinks it is an easily proven and well-documented event. Payment of the vessel’s agreed value could be performed based solely on a few lines of code, responding only when specific criteria are entered into the blockchain. In the case of cargo losses, smart contracts can also be designed to pay losses immediately based on predetermined triggers. Pharmaceutical goods or food-grade products contaminated or thawed prema-turely may constitute a total loss, depending on the underlying policy. If the temperature of a refrigerated container exceeds a specific threshold, a total loss can easily be declared and verified by a surveyor report or other trade document showing the violation. Funds would be transferred immediately for the loss through a smart contract. Similar trans¬actions can be equally shared by all parties with a financial interest in the voyage, in line with the legal principle in maritime law known as ‘general average’. Informing the blockchain database of an instance of general average could allow immediate posting of an average bond, reducing the time it takes to release cargo. Admittedly, there are intricacies of the claims process that would need to be further developed, and agreed upon by the insured and insurer prior to entering into a contract. For example, the salvage value of goods -- and the responsibility of the insured to mitigate losses even in cases of total loss -- must be clearly understood and enforceable. Smart contracts could be designed to immediately transfer the title and rights of recovery to the insurer, though the insurer typically refuses aband-onment of goods: this maintains an incentive for the insured to mitigate the loss when they still retain title to the damaged goods. These intricacies of the insurance contract may not be easily captured by a smart contract, but the terms and conditions of the policy would provide guidance. In personal lines of insurance, there has been a proliferation of companies adopting the blockchain technology beyond when compared to commercial lines. 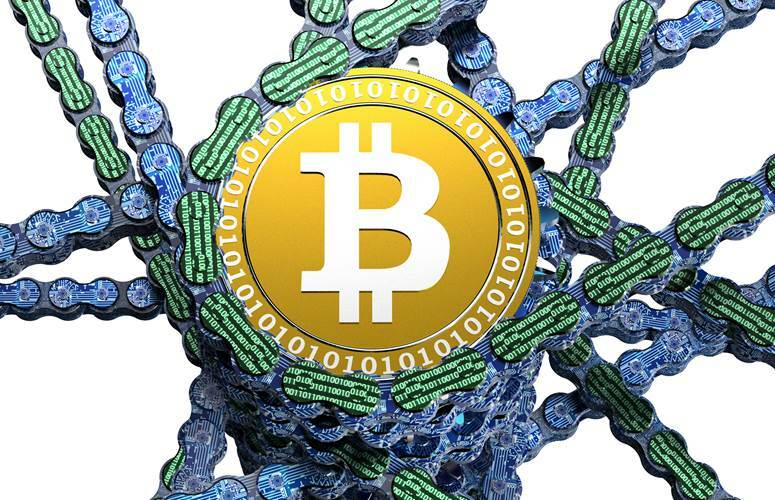 Blockchain-based insurance companies using the peer-to-peer (P2P) model have emerged globally over the past few years, while commercial insurers are cautiously testing the waters. One group that is structurally ripe for adopting the blockchain and smart contract technologies using a P2P model is P&I Clubs, or mutual insurance associations of vessel owners, typically based offshore, which insure liabilities of their members. Many of the advantages of this technology are closely aligned with the practice of P&I clubs. Automatic collection of advance, supplementary, or release calls could be captured by ‘coded’ smart contract. Loss reserves could be established based on user input as soon as claims are reported. Most other aspects of the club rules, or insuring agreements and conditions of insurance, could be captured in smart contract programming language, and automatically performed. The process of managing the club could be reduced to a decentralized autonomous organization (DAO) of vessel owners, with the decentralized and public nature of the blockchain removing the need for trust among potential business partners. Consultants can be hired as part-time trustees -- appointed to update club rules and the underlying code -- and claims payment could be based on a system of “voting” based on survey reports (when not completely captured by smart contracts). This hybrid method of automatic payment in qualified circumstances -- and voting in instances of partial loss -- may enable a more just and adaptable method of adjusting and paying claims. There are few barriers to implementing this type of DAO: the code is open source, and with the technical knowledge to update the code and a broker to bring them together to get the system in place, the concept is not far fetched. An intermediary could be used to place risks into the P&I club; alternatively, new risks could be voted in by every other member, and pre-established underwriting guidelines could prevent any “bad risk” from entering the club, or increase the premium. A final vote among the current club members could be used for any risks acceptable by the underwriting guidance. Vessel owners aren’t the only group that could benefit from application of blockchain technology in mutual associations; similar agreements, or DAOs, could be established among cargo owners, with each mutually insuring the others’ cargo losses. These types of organizations -- consisting of potential business rivals -- can benefit from pooling risk while simultaneously using a system that does not rely on trust among parties to resolve claims. A current obstacle to implementation is accounting for the customs and practices that exist in the marine-insurance marketplace and distilling these into program¬ming language to guide smart contracts. In those cases, when the static nature of computer logic can’t act independently, voting among disinterested members can substitute. Ambiguous situations become the responsibility of the other, disinterested parties to reconcile. Insurance companies rely on their claim adjusters to make fair assessments of facts pertaining to loss; these facts can be ambiguous and less-than-forthcoming, and may instead be the opinions of a surveyor. As with present practices, insurers and their adjusters must continue to vigilantly guard against moral hazard, which may seem difficult when the process is outsourced to computer code that pays a claim when criteria are entered into the database. There needs to be a clear set of rules for payment in these cases, outlined in the underlying policy and understood by all parties. Also, surveyors may still be needed to act as independent third parties to serve as impartial judges of losses, placing automatic payment out of control of the insured. Costa Concordia, Two Years Later. The Seaflower and "The Waller Test"
Will Dawei be the new hub of South East Asian Sea transportation?